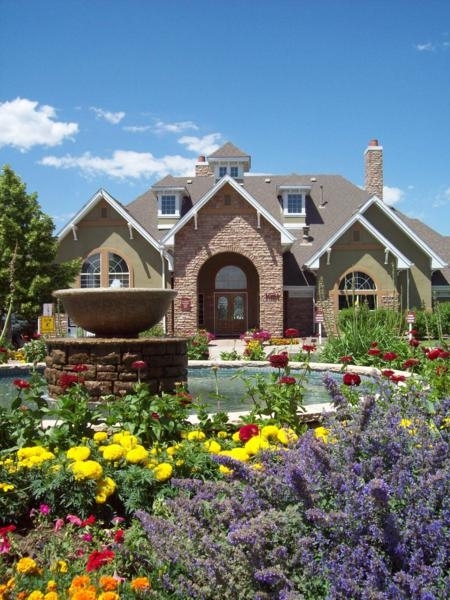 The Marquis at Town Centre is quietly nestled in the gorgeous city of Broomfield Colorado. When you live at the Marquis you are just minutes from Boulder and all the hiking and biking you can handle. Also just a short drive away is the lively Downtown Denver. We guarantee you will love your new home here at The Marquis at Town Centre. Our luxury community offers a unique variety of amenities that will exceed your expectations, including an alluring pool, relaxing spa, a 24-hour state of the art fitness center, executive style business center, and an 18-seat private movie theater. We will be waiting for you! Based on community amenities, there are much better values. The pool and hot tub, have not been working properly. I am disappointed with the dogs barking and whining. People walk their dogs at my patio and are not picking up after them. This was a very nice updated community with good amenities. I would refer my friends to this community. i like the location of the complex. grounds are a mess. dog poop all over. trash area often left with trash overflowing. MANY newer apartments in the area with comparable rates. People drive too fast. pool noise is not monitored or controlled. Management has talked for over 2 years about the need for security. No interest in cleaning exterior of windows, even after the paint job was completed. The staff is the best and the area is unbeatable! I was unable to receive a presentation and cannot make any comments. This was a lovely community. The grounds were nicely maintained. The pool and hot tub area was large and attractive. Many of the apartments ha attached garages. Excellent!! The cost of rent would eliminate some of my friends from being able to live here but that's the only reason I wouldn't recommend it. This was a very nice community. The residents as well as the leasing agent were nice and attentive. I would have leased there based on the tour and the property. The apartment was also nice and spacious and it did not feel so much like an apartment, but more like a home. I know you all are working to improve things, and I am noticing a lot of positive improvement. Mario is a wonderful manager. Coz it is not the same apartment that it used to be back in 2010 and 2011 and then it became a s..t hole. Srikanth, We wanted to thank you for completing the online survey from Marquis at Town Centre. We greatly appreciate your feedback and we are always open to suggestions. We regret to hear that you are not enjoying your time with us. We want you to know that we did make great efforts to find out who the owner of the cat was. We sent out several emails as well as emailed the picture out. Animal Control came out and left a pamphlet with us that said according to the leash laws set in place, cat's are not required to be on a leash so therefore they would not enforce what we had asked of them. We would like to make an appointment with you to go over all of your concerns. It was a nice community. It was upscale for the area, and I liked the upgrades. We wanted to thank you for completing the online survey from Marquis at Town Centre. We greatly appreciate your feedback and are thrilled that you would consider us as a place to call home. I wanted to thank you for taking the time to complete the online survey from Marquis at Town Centre. We greatly appreciate your feedback and value you as a resident. I am glad to hear that you are enjoying your experience at Marquis at Town Centre. The best referral we can have is from you. Please know that if any issues are to come up, we are here for you.